Foodie paradise, Melbourne provides refuge to cuisines from all corners of the world. While fine dining is ample, cheap eats are not lacking. 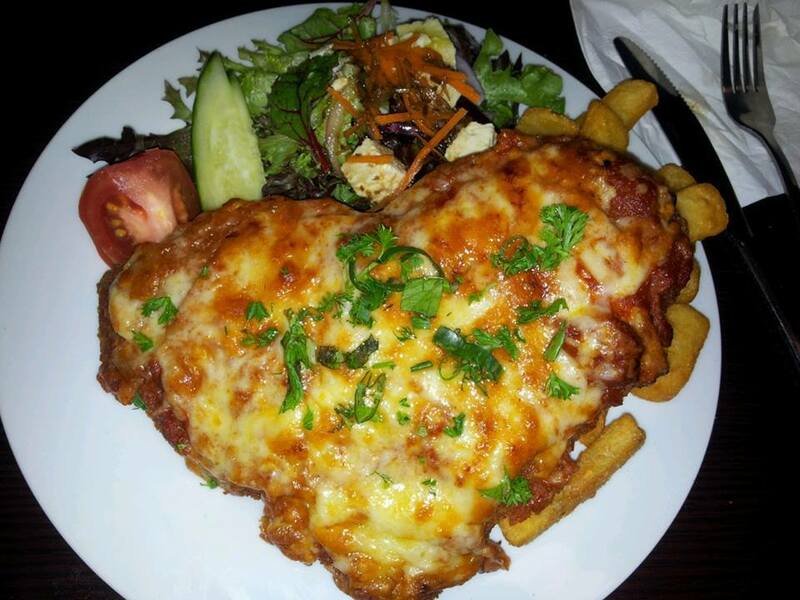 There are a number of destinations where you can savour a lovely meal for less than $10. This is a non-exhaustive list of various delightful foodie destinations in Melbourne where you can satisfy your tummy for less than $10. Home to delicious dumplings, Shanghai Street Dumpling will appeal to both your tummy and wallet. For $8-$9 you can get around 8 or 9 chicken/pork/vegetable dumplings or steamed buns. Filling and delicious, you will find yourself coming back for more. The only downside is the Shanghai Street Dumpling restaurants are quite small and finding a table can mean standing in queues for 10-15 minutes. But the wait is completely worth it! You will find Shanghai Street Dumpling at 343 Little Bourke Street and at 64 Latrobe Street in Melbourne CBD. Huxtaburger has carved out a niche for delectable German burgers. A $9 huxtaburger with beef pattie, mustard, mayo, tomato sauce, tomato, cheese, lettuce and pickles will make you lick your fingers. The huge burger will deliver you to a surreal state of absolute gratification. Huxtaburger awaits you at rear 357 Collins Street, Melbourne CBD. Empress of China stands regally at 120 Little Bourke Street, Melbourne CBD. For $7.50-$10 you can have a huge array of dumplings, steamed buns, rice with curries, noodles and so forth. Customer service is non-existent. But the scrummy food and excellent prices will woo your wallet and tastebuds. The steamed pork buns, fried chicken and pork dumplings and spring onion pancake definitely rate glorifying mentions. The 10 pages long menu will certainly keep you busy as you make your epicurean discoveries. 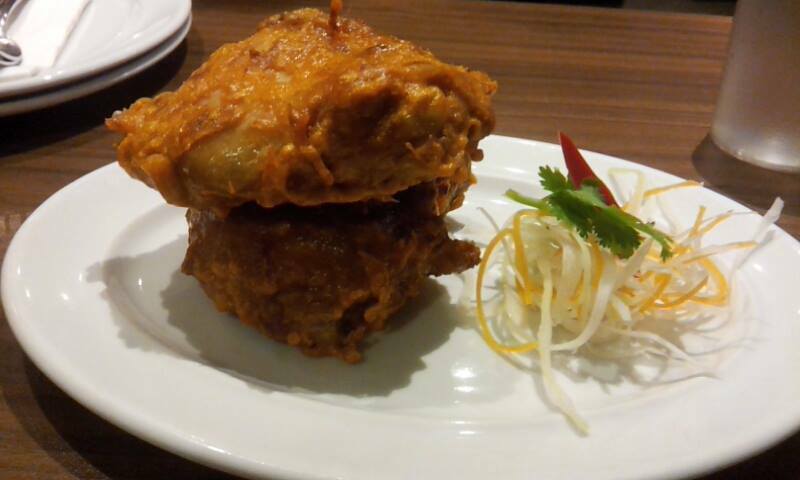 Snuggled at 366 Lonsdale Street, Mamak is a delightful Malaysian restaurant. For $5.50, you can have a roti canai consisting of a roti and 3 dips. For $9.50, you can have a scrumptious murtabak (roti stuffed with chicken or lamb and veggies). You can enjoy a nasi lemak for $9. But it is the fried chicken (each piece costing $4) that will leave you smacking your lips. The menu is modest but the good prices, tasty fares and good service will have you hooked. Snag Stand in Melbourne Central promotes itself as the place to be for 'haute dog'. Starting from $6.50, their gourmet hot dogs will tick the boxes for scrumptiousness and uniqueness. The impressive menu will definitely tickle your fancy and tastebuds. 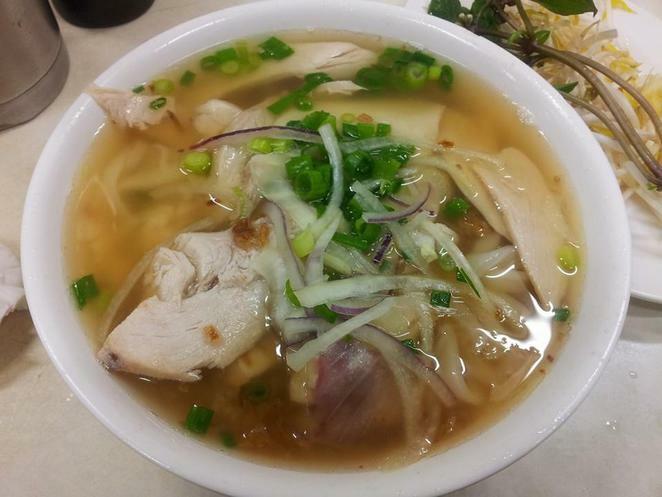 If good quality Vietnamese pho is your idea of a delicious lunch or dinner then Pho Dzung City Noodle Shop has you covered. A small chicken or vegetable pho will cost you $8.50 while for a dollar extra you can enjoy the larger version. The steamy hot and fresh soup with generous serving of chunky chicken pieces and noodles is flavoursome and fulsome. However, the flavour is highly enhanced by the addition of mint leaves, fresh chilli and lemon juice. You will find Pho Dzung at 234B Russell Street, Melbourne CBD. Nestling snugly inside Melbourne Central next to Mex Brenner (on Menzies Alley, Melbourne CBD), Chilli India is a delightful destination for cheap and delicious authentic Indian fare. Enjoy a hearty chicken soup for $9.90. Try their delicious dosas (crispy crepe stuffed with veggies/chicken and spices) for $10.90 or more. Chilli India will get your juices flowing with their yummy selection of food. You can have a delicious fugazza (half fugazza) for $6 from Fugazza at 31 Equitable Place, Melbourne CBD. A fugazza is a Tuscan foccacia which is essentially a hand crafted sourdough bread with authentic and flavoursome Italian fillings. And if you are willing to spend $10 then you can sample a whole fugazza or a half fugazza and a salad or soup. At Level 1, 28 Elizabeth Street, Melbourne CBD you will find Om Vegetarian restaurant where you can have a nice and filling Indian meal for as little as $6.50. 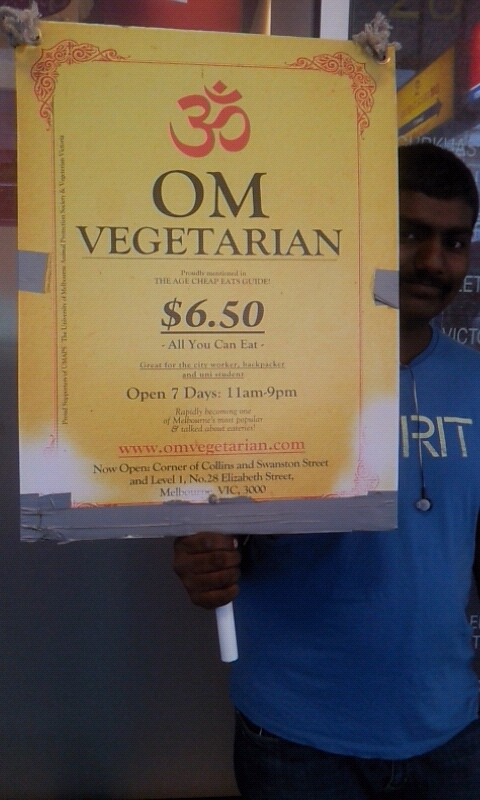 An "all you can eat" vegetarian meal for $6.50 incorporates naan or rice with two vegetarian curries. It is not the best Indian in town but it is certainly cheap and filling. There is another Om Vegetarian at Shop 4, 227 Collins Street, Melbourne CBD. Mekong Vietnam is a wonderful place to fill your tummy with delicious and filling pho. For $8.50 you can have a hearty and flavoursome meal. Mekong also offers the best spring rolls I have ever tried. For $6 you can get 4 chicken spring rolls which are massive, beautiful brown and bursting with flavours. Mekong Vietnam awaits you at 241 Swanston Street, Melbourne CBD. Crossways is a great place to catch a nice and cheap meal. You can enjoy an "all you can eat" meal for $5.50 during lunch and $7.50 during dinner with concessions for students. An "all you can eat" vegetarian meal includes rice, curry and a dessert.The Halava (dessert) is definitely recommended. Crossways is located at Level 1, 123 Swanston Street, Melbourne CBD. If you would like to recommend a place where a delicious meal can be had for less than $10 then please leave a comment below. The Queen Victoria Market is great for cheap lunches. Boreks cost $3 and you can get a bratwurst hot dog for $6.90. Where is the picture of the Parma taken, please? And...best for Indian Fusion is Gopals Vegetarian, for $8.50 you can have a massive meal of a main dish (or combo of two curries - or they have veg lasagne), rice and salad (choose from many). Yum! 139 Swanston St Melbourne CBD. Bing boy at melbourne-central/ is great! Gopals and Crossways are run by the same organisation. Crossways is actually a lunch restaurant, where Gopals is associated more with a dinner crowd. Crossways does $5.50 Concession all-you-can-eat, and $7 full price all-you-can-eat. There is only one main per day, but the menu changes every day that it is open.